Tony is one of my favorite musicians, not only for his amazing playing, but for making music more interesting with his photos, books, and web site. Here is his web site for more info. 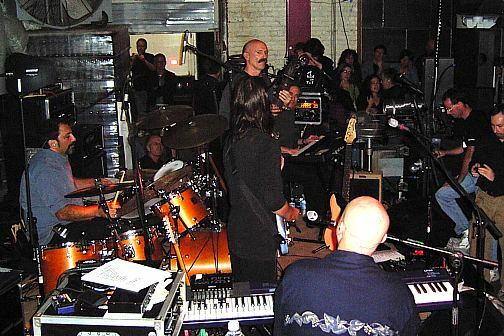 Here is Tony playing with the Tony Levin Band and at Keegan Ales in Kingston NY in Sept 05. On the left is Jerry Marotta on drums, behind Tony you can see Larry Fast peeking around. Jerry and Larry played with Tony for years in the Peter Gabriel band. I never liked the later drummers and keyboard players nearly as much, they lost the feel of the earlier pieces which I prefer to the later, more popular pieces. I was lucky enough to see them several times in the 80s while performing the "Plays Live" show. In front of Tony is Jesse Gress who also plays in the Jim Weider-II band, and with his back to the camera is Tony's brother Pete Levin on keyboards. Pete is a classic Hammond player and can really wail, he's from my area of CT but now lives in Woodstock near Tony, Jerry, Jim, Jesse, etc. 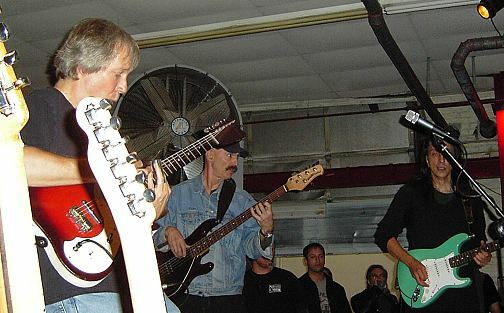 Here is Tony later that night playing with the Jim Weider Band-II, with Jesse on the right. 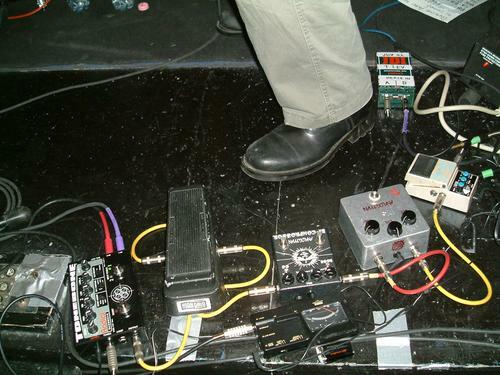 Here is Tony's pedalboard from that night with the Bicomp. 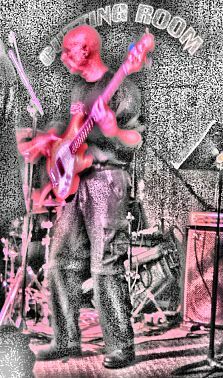 Here is a shot I took and edited when they played at the Cutting Room in NYC. 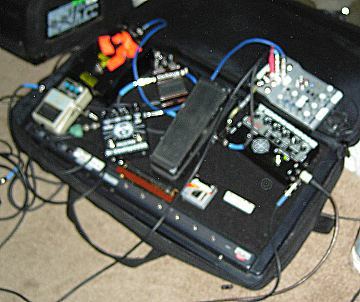 Funk Fingers and you can barely see the Bicomp in front of the amp.